US #296 pictures an early electric automobile. 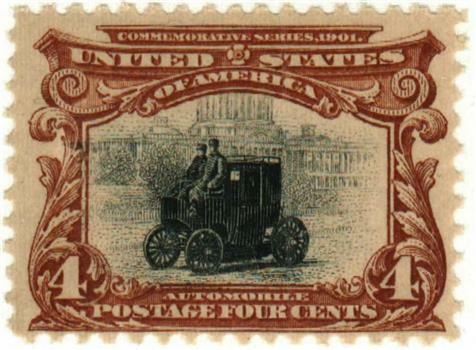 On November 3, 1900, the first modern auto show opened in New York City. There had been other smaller auto shows in the US previously, even others held at Madison Square Garden. But this show is largely considered the first major, modern auto show. US #610 was issued one month after Harding’s death. 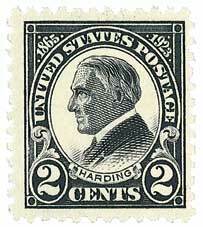 29th president of the United States Warren Gamaliel Harding was born November 2, 1865, in Blooming Grove, Ohio. When he was 10 years old, Harding began working for his father’s weekly newspaper. In college, he worked on the school newspaper and gained a reputation as a gifted public speaker. US #1321 – The original painting hangs in the National Gallery of Art in Washington, DC. 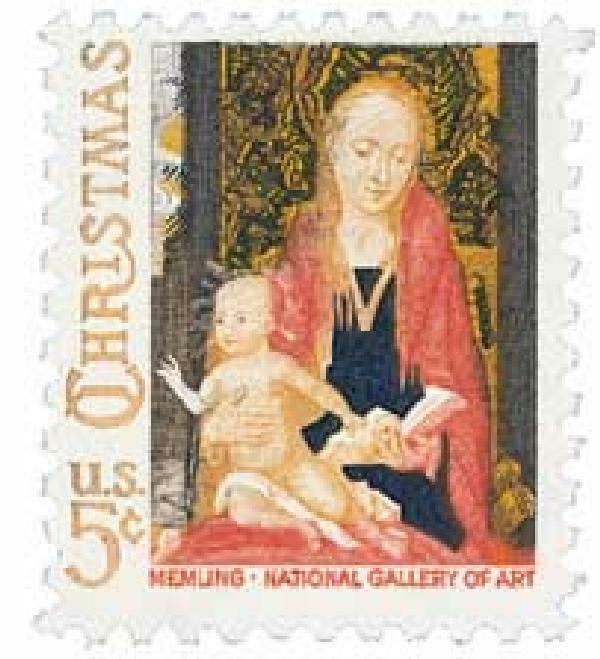 On November 1, 1966, the US Post Office issued its first Traditional Christmas stamp, picturing the Madonna and Child with Angels, by Hans Memling. By the early 1960s, the US Post Office was receiving 1,000 letters a year (for several years) asking for a Christmas-themed stamp to frank their holiday mail. The idea was approved and the US issued its first Christmas stamp on November 1, 1962. 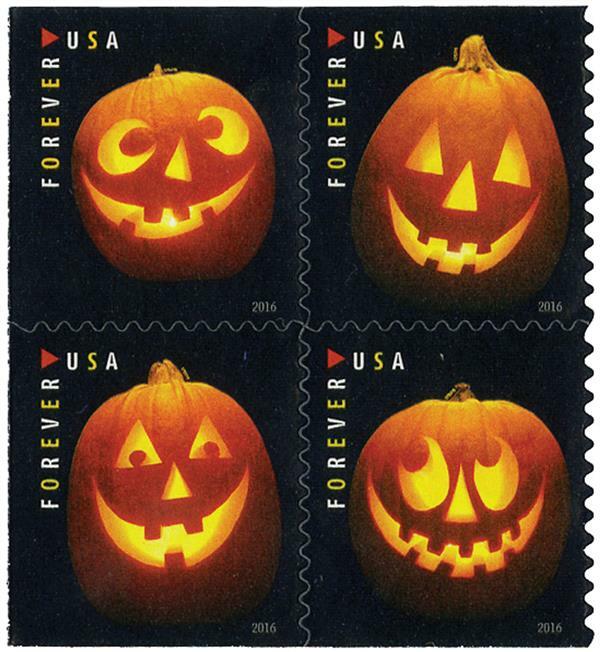 US #5137-40 – Set of four Jack-O’-Lantern stamps. Today we’ll look back on some of the history behind Halloween! Samhain (Old Irish for “summer’s end”) is often considered to be one of the oldest precursors to Halloween. It’s a traditional Gaelic festival first documented around the 10th century. It is believed modern Jack-o’-lanterns were inspired by a Samhain custom. People would hollow out turnips and carve faces into them to use as lanterns at night. US #806 from the popular presidential series. 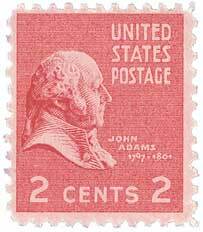 John Adams was born in Braintree (now Quincy), Massachusetts, on October 30, 1735. In his youth, Adams was a bright yet indifferent student who preferred the outdoors to a classroom. At the age of 15, Adams entered Harvard College and graduated in 1755. He taught school for a few years and practiced law. In 1764, Adams married Abigail Smith. The couple had four children who survived infancy. US #4445 pictures Mauldin and Willie and Joe. 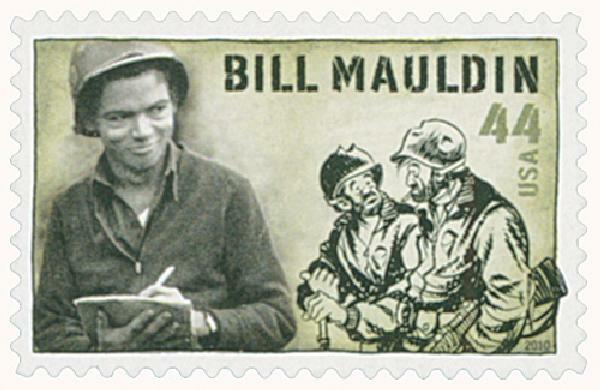 William Henry “Bill” Mauldin was born on October 29, 1921, in Mountain Park, New Mexico. The son of a World War I veteran, Mauldin spent his childhood in Mountain Park and later Phoenix, Arizona. He then went on to attend the Chicago Academy of Fine Arts. Mauldin returned to Phoenix in 1940 and enlisted in the Arizona National Guard.